We offer an exclusive range of Magazine Bags which are used in different industrial applications. Our range is manufactured using best quality material. Our range is made using best quality material to offer an outstanding range. These are generally suited to keep pile of magazines. 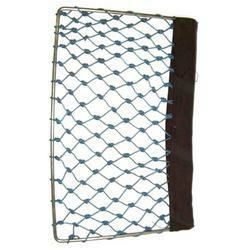 Our exclusive range of magazine bags finds their usage in trains, buses for keeping magazines. 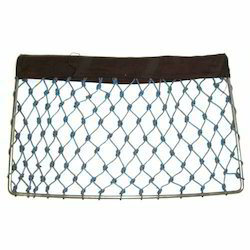 We are involved in offering an exclusive range of Nylon Mesh Magazine Bag which is used in various types of industrial applications. Our range of magazine bags is made using best quality material to offer an exclusive range. These are offered along with cost effective solution. We offer our range of magazine bags can be used in varied applications as Mall, Bus, Train and Hotels. Our experts are engaged in manufacturing an exclusive range of Nylon Magazine Bag which is used for keeping we offer highly quality products to our valued clients as per international norms of quality. These find their usage in Mall, Bus, Train and Hotels. Our range is offered at affordable rates. These gives best performance even in long run. Looking for Magazine Bags ?